This project was the product of a service-learning, design-build studio at Louisiana State University in 2014 taught by Mid City Studio Executive Director, William Doran. The project focused on creating public space. 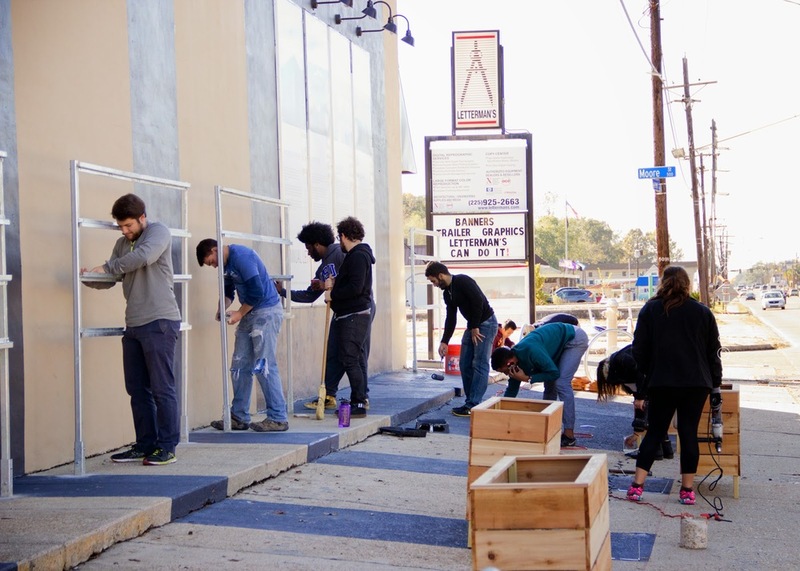 Architecture students were challenged to develop a 1200-square-foot, modular, community exhibit in front of local printing company Letterman's Blue Print and Supply - who generously sponsored the construction of the exhibit at their Mid City location. While municipally developed parks, plazas, and streetscapes make up the majority of what is considered public space in the United States, privately owned businesses and developments have a significant influence on the urban fabric of our cities – even though their design and programming is largely inaccessible to the public. How might a private company become a steward of public space? How might the space engage the public as part of the temporal fabric of the city? Students spent significant time visualizing and testing ideas on site and defining more specific parameters for the space. They interviewed residents, worked with local material suppliers, and hosted a community event to get input from the public. 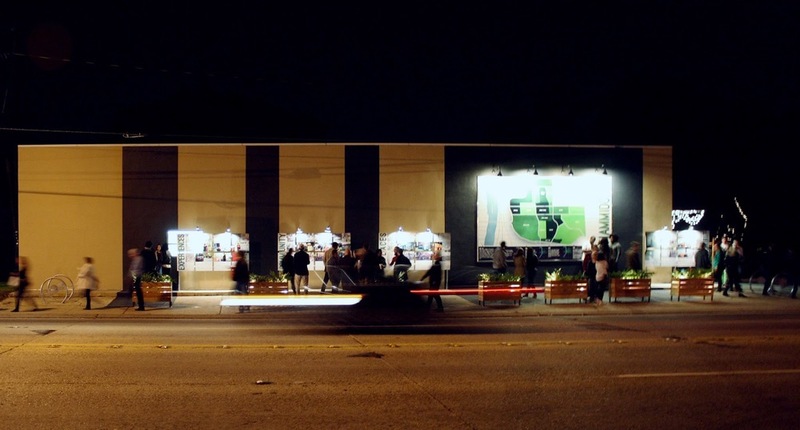 The exhibit was installed and launched in conjunction with Mid City Merchants’ White Light Night on Fri., Nov. 21, 2014. This work would not have been possible without the hard work and dedication of the students, Lettermans' President Steven Perret, and The Walls Project.